Just in time for the holiday we’d waited a year for then. Great. 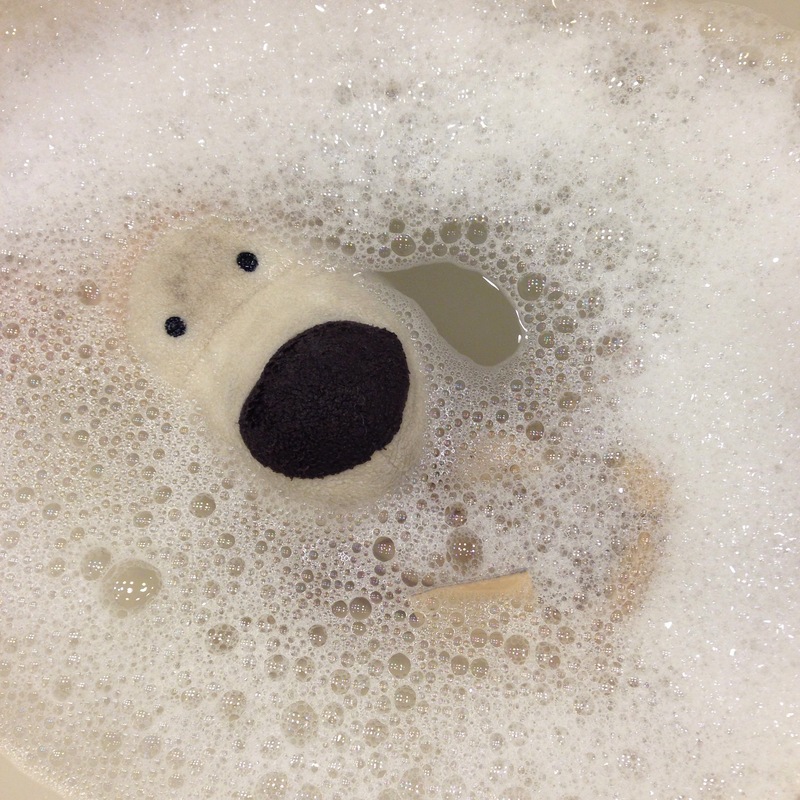 There was a lot of Calpol issued over the first few days, not a great deal of sleep, and – after a sudden bout of midnight sickness – an impromptu shampoo bath for Boofle. 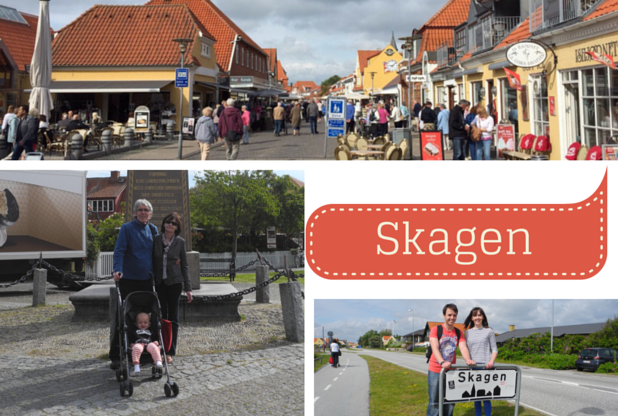 Luckily, our first port of call – Skagen, in Denmark – was a short one. 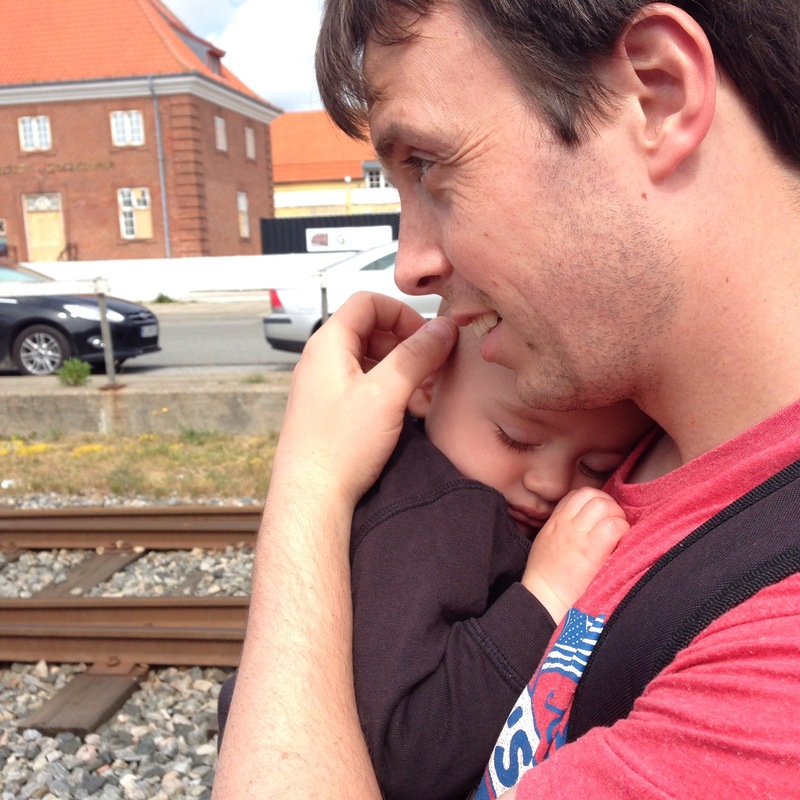 We had a couple of hours in the country’s most northern town, and that was plenty as it was a fairly sleepy place, well suited to a sleepy baby. 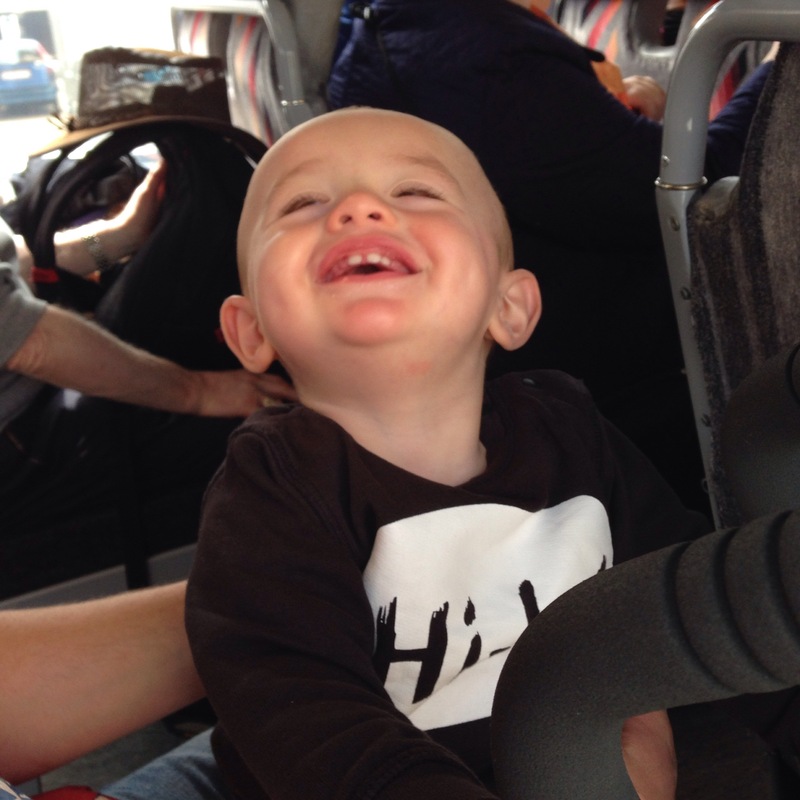 Despite packing enough holiday clothes for a month away, we didn’t even bother changing Santi out of his pyjama trousers for our first outing, expecting him to nap for most of the visit. So typically, he perked up about 45 minutes after getting off the ship and insisted on being out of the buggy and walking around looking very fetching in his orange and white stripes. Does this look like a baby that was up half the night?! Skagen’s main attraction is the Grenen headland, where the North and Baltic seas meet. We were heading along the seemingly endless path to the beach and miles from town when Santi woke up – so we decided heading further from the port wasn’t the best idea. We got as far as the lighthouse (which seems bizarrely far inland) and made an about turn back to the town, with Santi only content if he was being raced zig zag along the path in his buggy (I miss the days when we went unnoticed!). Once the shops had opened, Skagen was a pretty town with a seaside feel, and it would have been nice to stop for a drink in one of the cafes. 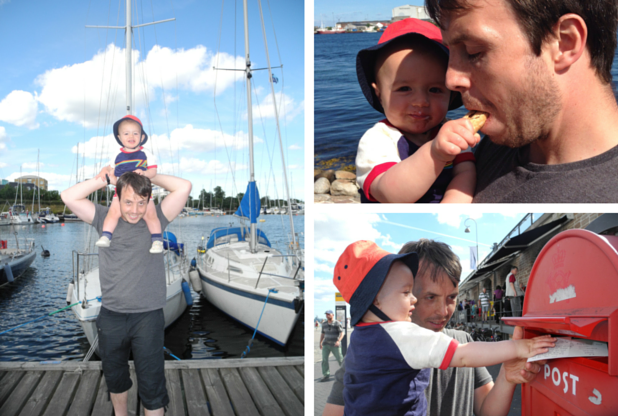 But being just a quick stop-off, it was back to the ship with the hope of being less sleep deprived at our next port! Towards the end of the holiday we made another visit to Denmark – this time the capital, Copenhagen, which was a standout day from the holiday for me. Me and Stew had been to Copenhagen in December 2013 as part of our capital city challenge when I was about 14 weeks pregnant. That holiday came to a memorable end as we were stranded at the airport during a storm and ended up having to pay for an extra night in a hotel. 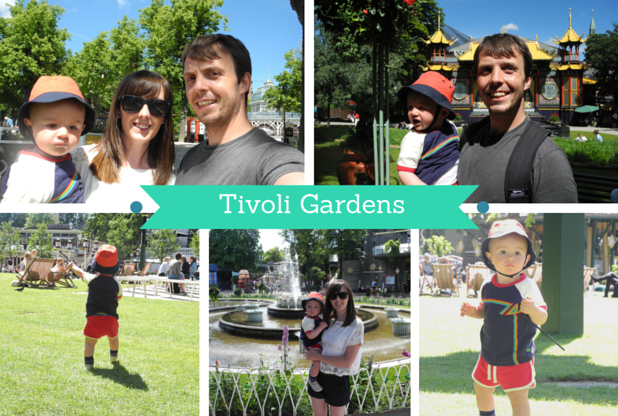 Needless to say, the city looked completely different with the sun shining, and we headed straight for Tivoli Gardens to make the most of the weather. Last time, the gardens were filled with Christmas market stalls and it was so cold we took refuge in Wagamama. 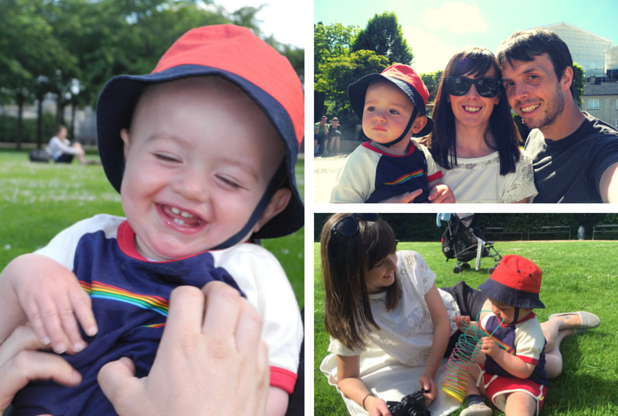 This time around, it was lovely and warm, the gardens were in full bloom and the grass was filled with families enjoying the sun. We claimed a spot and let Santi loose to run around and burn off some energy. Within seconds he spotted a ball and was terrorising its owner by pointing and shouting for him to pass it over (there’s no language barrier for children, it would seem). This would have been fine if he hadn’t then decided the ball should be his and walked off with it! Some peacocks strutting past took his attention for long enough for us to scoop him away and let the other little boy play in peace. We had a little wander around, a minor panic over a potentially lost mobile, and headed off to explore some more of the city. 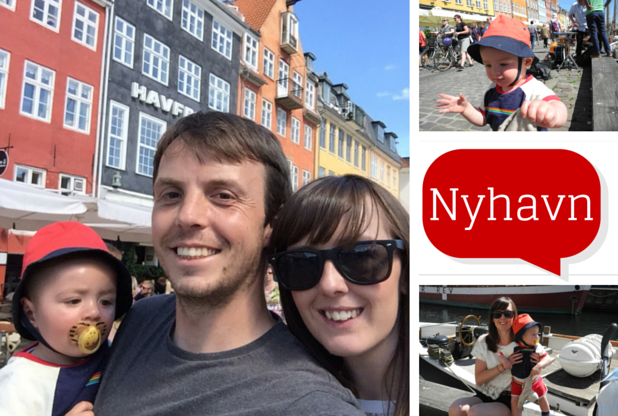 Our next stop was Nyhavn – a postcard pretty waterfront with colourful buildings, bars and restaurants. Being such a hot day, it was packed with people eating and drinking – and we bumped into my parents (they were on holiday with us but we’d gone our separate ways for the day, so it wasn’t that random!) who were taking the sensible option of the free bus back to the ship. Being on Stew’s Tours, however, we were walking … no, we didn’t really know where we were going, and yes it was about 24C! We walked along the front, and when it got quieter Santi toddled along too. We passed the palace, Frederik’s Church, and found a lovely little garden near the waterfront for a rest. We also discovered that whichever direction we walk in, Santi will always want to go the other way. This could get very frustrating, but when you’re on holiday little things like that aren’t an issue … walking home from Asda could be a different story! * I should give a little warning about the Little Mermaid statue for anyone visiting with children. Unsurprisingly, it’s not actually modelled on Disney’s Ariel, despite the expectations of the little girl in front of us. It is worth seeing, but if your little one is expecting red hair, a shell bikini and Sebastian the crab, they might well be disappointed. And that was that. We stopped to post Santi’s postcard to himself and got back on board for some much-needed pizza. 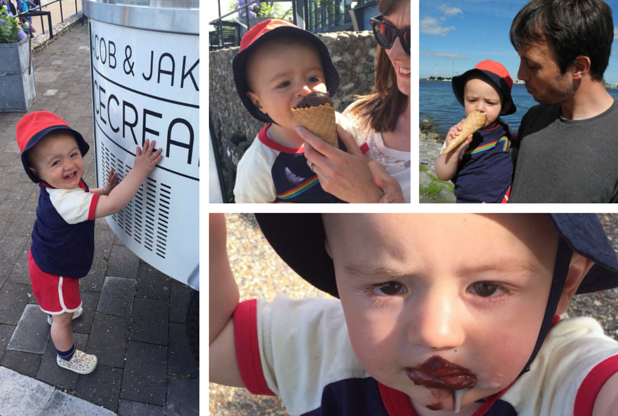 It was a beautiful day in a beautiful city, which I’d highly recommend for families.